Renowned Marathi actor Girish Kulkarni said he had fantastic experience working with Aamir Khan, and feels the superstar’s best quality is that he acts without any pretence. Coming all in praises for Dangal actor Aamir Khan, renowned Marathi actor Girish Kulkarni said he had fantastic experience working with Aamir Khan, and feels the superstar’s best quality is that he acts without any pretence. 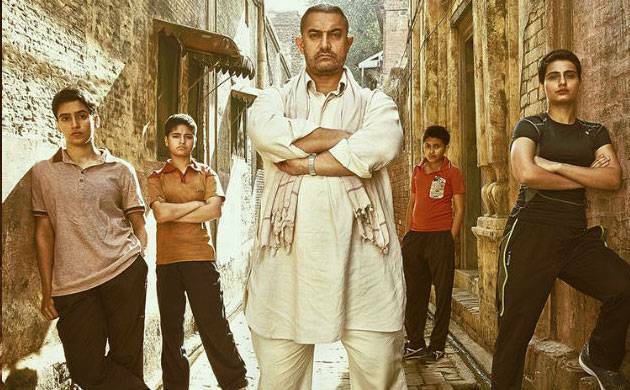 'Dangal' is based on a real life story of wrestler Mahavir Singh Phogat and the journey of his daughters Geeta and Babita Phogat.The film stars Aamir in the role of Phogat and features Girish as the sports coach who trains his elder daughter, Geeta.Girish says that 51-year-old actor working without any falsification. “Aamir is a very good human being, so he never hides anything. If he is scared, he will say ‘Oh I am a little scared to do this’. I found that very good, real and relatable. I find it weird when you do something out of pretence,” Girish said.The National Award winning actor says that on sets, Aamir never brought his star presence. “It is the speciality of Aamir that he doesn’t pretend anything. There is a star aura always but then you have to face the camera and be yourself. He brings in his genuiness and integrity, which is a great quality of an actor.”When he was approached for the role by casting director Mukesh Chabbra, the actor said he would do it only if the role is substantial enough. “Dangal”, which released this Friday, also features Sakshi Tanwar, Fatima Sana Shaikh, Sanya Malhotra among others.